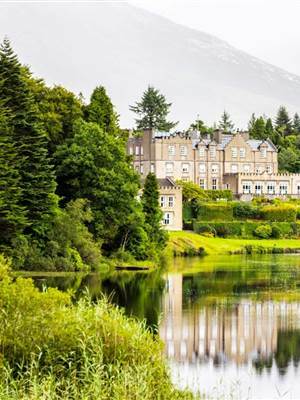 This really is the perfect location for a fly fishing vacation in Ireland. The river is well developed and easily accessible. The fishing beats are either a short stroll from the Castle or a small drive downstream where you will never be more than 5 minutes walk from you car. Over 70 casting piers were constructed on difficult throws when His Highness, The Maharaja Jam Sahib of Nawanagar, better known as Ranji, owned the fishery. Casting piers and fishing huts on the seven beats on the river enable anglers of all ages and experience to enjoy fishing at Ballynahinch. All fishing at Ballynahinch is by fly only. This should not however deter anglers who have never fly fished before. Experienced guides are available to teach all aspects of the sport and make your Ballynahinch fishing experience all the more enjoyable. Fishing is let by the beat and may be reserved on an individual basis or shared with a partner. With a maximum of two rods per beat, anglers are moved downstream on a half-day rotation to ensure a maximum amount of water is covered during the day. There are also a few areas on the river where anglers can fish for resident browns by wet fly, dry fly or upstream nymphing. Complimenting the river is the Lower Ballynahinch Lake. This fine lake, fished from a drifting boat, can produce fine brown and sea trout during mid summer. 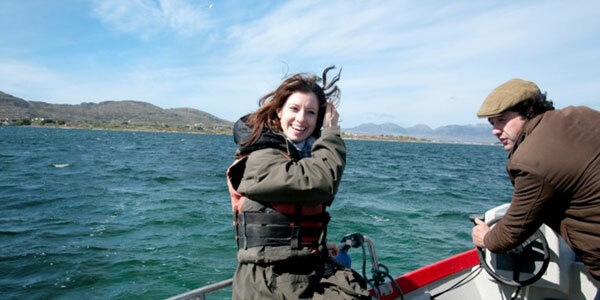 Kileen Lake, also on the grounds of the Ballynahinch, is a more manageable lake for the less experienced angler. This lake is stocked with rainbow trout up to 4lb weight and can provide a great mornings entertainment for those who do not have long at Ballynahinch. 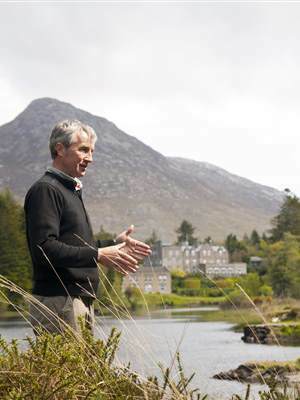 We look forward to welcoming you to Ballynahinch Castle for the very best of fly fishing in Ireland.